As a child of the border, I grew up surrounded by two cultures, two languages, and two cities that brought opportunities and experiences not many students in the U.S. kids get. I had the advantage of completing first and second grade in Ciudad Juarez and later coming to the United States to complete elementary, middle school, high school, and college. I remember having to wake up three hours before my classmates in order to be at the international bridge by 6:30 a.m. and make it to school by 7:50 a.m. While this became a normal daily routine for me, I often felt it was unfair that I had to get up so early when other kids slept in because the lived just around the corner from school. Now that I am finishing college, I feel blessed that my have parents gave me a taste of the education in Mexico as well as in the United States. Thanks thanks to the early years in Mexican schools, I have strong skills in writing and speaking Spanish and my Mexican history skills are solid. Growing up in the border meant also getting to celebrate both U.S,and Mexican holidays. I remember waiting in lines for three or more hours to cross to El Paso on Halloween along with hundreds of other children in costumes – princesses and super heroes – eager to go trick or treating with the sole purpose of obtaining the “good candy” such as Kit Kats and Nerds. This was a real treat instead of our usual options of bitter Mexican Carlos V chocolates and Lunetas, which are like Mexican wannabe M&Ms. But I also loved the festival atmosphere two days later for Dia de los Muertos with its altars dedicated to departed loved ones decorated in flowers in vivid colors. We ate pan de muerto while sipping on chocolate Abuelita. I remember the fun music playing as I danced in a skeleton costume one year. In addition to the customs and schooling, another big influence that came with growing up in the border was being able to see TV shows from both countries. 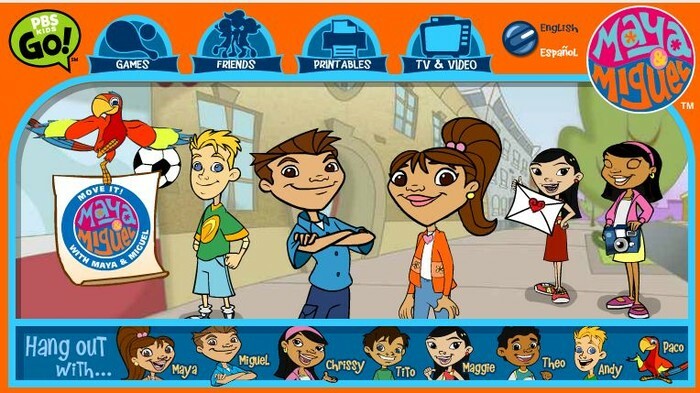 This helped me and many other young local Latinas and Latinos improve their English skills. My grandparents lived around the corner from my elementary school in El Paso. I’d stay with them after school until my mother came to pick me up when she got out of work. I would watch PBS Kids on Channel 13, KCOS as soon as I got to their house. Even though I would only understand the bare minimum of what they were saying, since it was my first year studying in El Paso, I really paid attention to their pronunciation and phonics. The PBS shows like “Between the Lions,” “Reading Rainbow,” and “Sesame Street “really were a big part of my childhood and educated me about the importance of reading. The Bernstein Bears and Clifford tought me valuable lessons about character, doing the right thing, and helping others. Watching the news on how the current President Donald Trump wanted to end funding for public broadcasting was frustrating to me. He doesn’t realize the important role public broadcasting plays in the lives of many young children. He does not know about the many children that grew up dancing and singing along to “Number of the Day” by the vampire in Sesame Street and day after day started knowing the numbers in English. He lacks knowledge on how many of us would watch Maya and Miguel and feel happy to see a cartoon that not only looked like us but also spoke both English and Spanish. Ultimately, he does not know about the many young U.S. citizens with Mexican roots who want to learn English in order to be able to read all the colorful books at the library and be able to communicate better with the other kids. Growing up in this border community gave me the best years of my childhood. Nothing would ever beat the feeling of watching the Mexican flag wave while singing the Mexican National Anthem Monday Morning during flag ceremonies or going to the Chamizal National Memorial for Fourth of July fireworks. Nothing will ever compete against a childhood filled with bicultural flavors, traditions, and unique experiences. I am a proud El Pasoan and a proud Juarense, and thanks to PBS, I know that borders aren’t a barrier to learning. Lillian Sanchez is a multimedia journalism major at UT El Paso.